"Destined for the classical charts as soon as it hits the shops, this is an immediately affecting work whose three movements, 'The Smile', 'The Love', 'The Duty', sum up three aspects of The Queen Mother's character. The first two are pictorial and tuneful; the third, recalling the Blitz, starts grittily but ends triumphantly. 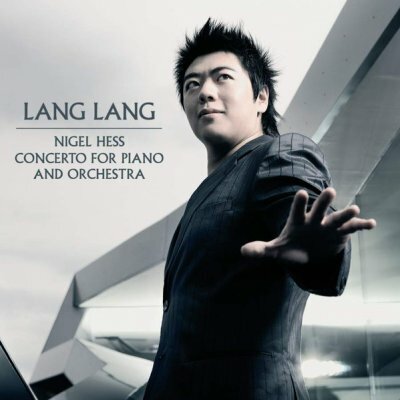 Lang Lang plays with great conviction." 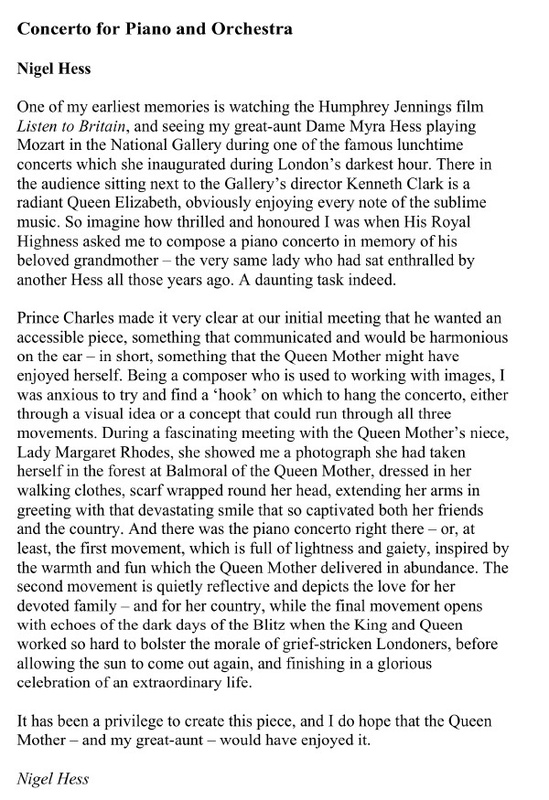 "As modern piano concertos go, Nigel Hess' has to be one of the most revered. 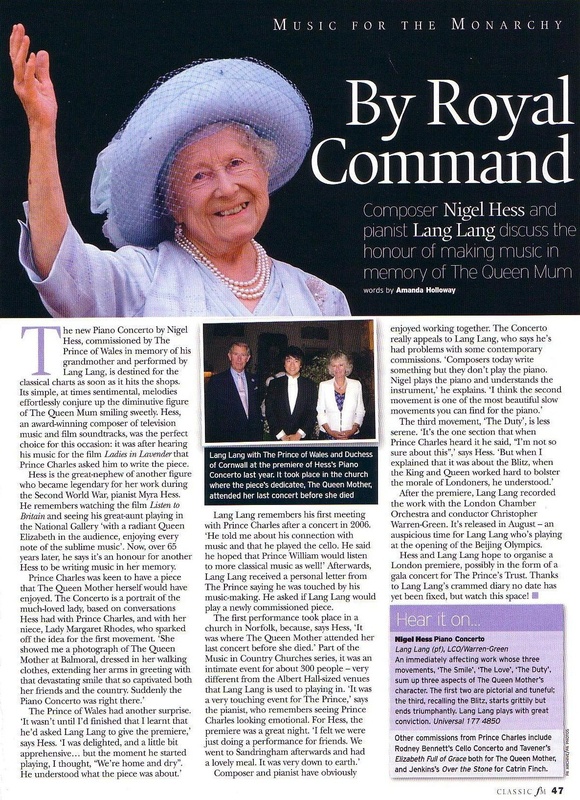 Originally commissioned by the Prince of Wales as a tribute to the memory of the Queen Mother, it has since been recorded by the likes of Lang Lang — testament to its status as a performers' concerto." "I think the second movement is one of the most beautiful slow movements you can find for the piano."